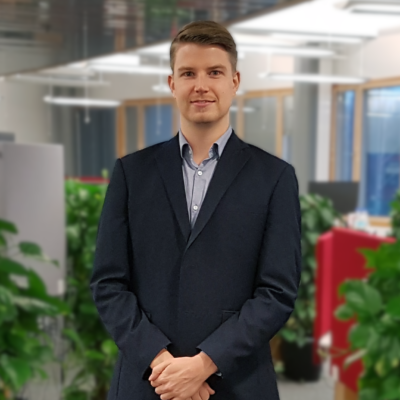 Lauri joined Spinverse in October 2018 to work as a Consultant in New Business Development and technology consulting projects. Before joining Spinverse Lauri worked as a business consultant helping clients with IT and business development initiatives such as IT strategy, technology roadmaps and supply chain management projects. He holds an M.Sc. in Economics and Business Administration from Aalto University School of Business. Lauri majored in Information and Service Management and in his Master’s thesis he studied Servitization in Finnish basic materials industry. Lauri spends his spare time playing ice hockey, sailing, swimming and gaming.